The LonMark® International Magazine is the official publication of LonMark International and is an English language trade magazine on open systems written for anyone interested in open, interoperable multi-vendor control solutions. There are several country/language specific periodic editions of the LM Magazine including China, Japan, Russia, Switzerland and Germany. 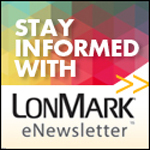 The LonMark International Magazine combines features on new technologies, products and applications, industry news, innovative product announcements, and industry events as well as LonMark International, LonMark Affiliates, and members’ activities. The LonMark International Magazine is published annually in print and digitally. Members may request a print version of the magazine; the digital version is available to all. To subscribe to the digital edition of the magazine send an email to info@lonmark.org with your name and email. Here you can download the current Edition.